For almost a year now I am proud owner of gk802 iMX.6 quad stick. Ever since I bought the device, I immediately installed linux and used it as 24/7 powered personal server. Device itself is great with quad core chip and 1GB of RAM, but limited only to WiFi connectivity provided by RTL8152 chip which is not fast or stable enough to be used for my purposes. After bying 3-4 cheap usb 2 ethernet adapters I found out that some of them are usb 1.1 adapters and can not offer enough speed. Other devices are clones of Asix devices which proved to be unstable also. 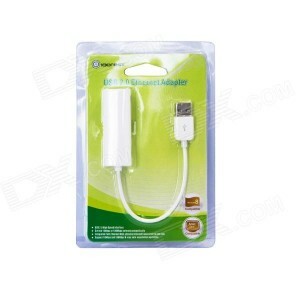 Finally I found an adapter that has reliable chip from respectable company. Unknown company to me called IOCREST manufactures “IOCREST IO-USB8152-GLAN USB 2.0 to 10/100M RTL8152 Ethernet Controller – White” device that I found on Dealextreme with RTL8152 chipset. TRENDnet’s portable USB 3.0 to Gigabit Ethernet Adapter , type TU3-ETG , shortly puts a Gigabit Ethernet slot to a Windows as well as Mac PC . A high Speed USB 3 .0 slot backing Whole Duplex two Gbps data pass on speeds. The TU3-ETG is appropriate with previous USB 2.0 as well as 1.1 jacks. Thanks for the comment. TU3-ETG seems like really great product, but it was not available at that time. The one I have described is 4 times cheaper and even though it is 100Mbit seems as best budget fit.